The retail game is no longer just about the millennials. Now, it’s all about the HENRYs. HENRY stands for High Earners, Not Rich Yet and they’ve been dubbed as the “consumer of tomorrow”, though you’ll want to learn about them today. These baby boomers’ babies are earning a whopping $100-250k annually and are on track to becoming the new generation of the ultra-wealthy. These affluent youngsters are part of a larger income cohort that accounts for 40% of all household spending. That is a lot of buying power! Where does their buying power come from you ask? The American Dream has shifted – or at least it has for HENRYs. While previous generations dreamed of and saved up for a mortgage, two-car garage, and two cars, HENRYs crave experiences. And they’re willing to move back in mom and dad to make it happen. Along with an interest in experience comes along some qualities that make experiences that much better. HENRYs seek out quality, craftsmanship, and authenticity – which aligns perfectly with the overall cultural shift towards artisanal products with a quality, homemade feel. You can see it in here-to-stay trends like small-batch craft beer and nostalgia-made-new products. 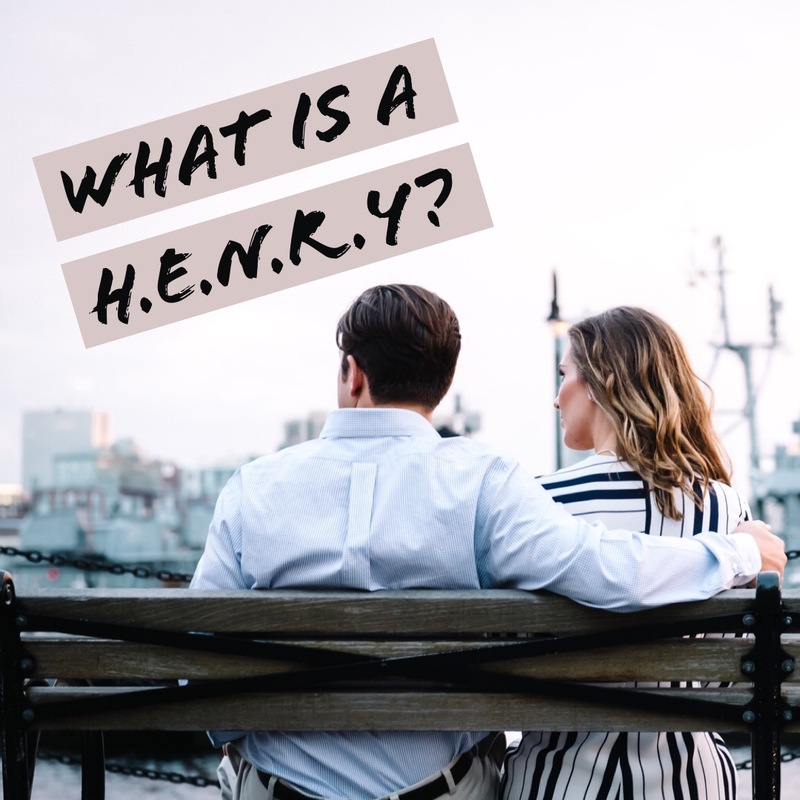 A key difference between a typical shopper and a HENRY is while they can be fastidiously brand-loyal, they do not shop based on brand name alone. They’re less influenced by advertising and traditional marketing. They’re introduced in brand ethics and community involvement. HENRYs dominating the space in consumer retail markets denotes an important shift in the transition from product-based retail to experience-based retail. Often called a Retail Renaissance, the movement towards digital-first brands, pop-up stores, and omnichannel retail is all a by-product of a changing consumer landscape spearheaded by HENRYs. And if you think they’ve made waves in the industry at large, you can bet they’ve turned luxury marketing on its head! Large, urban, cities are seeing more renters than home buyers. Likewise, more people are choosing to lease a vehicle over purchase one. Millennials were priced out of the markets, and chose to invest in themselves instead. For HENRYs, with more discretionary funds available comes the opportunity to lease luxury cars and rent luxury apartments – in order to add to the enjoyment of life. They’re not seeking status, so why then, are HENRYs choosing luxury? Millennials came of age during a great recession, and entered the workforce during a gradually improving economy. HENRYs matured through periods of scarcity, and they’re excited about tasting, testing, and trying everything and anything that speaks to them. With financial capital on their side, HENRYs are seeking a life of abundance. A resurgence of male-focused products being actively marketed by brands like The Dollar Shave Club and For Hims have made the self-care experience cool for men. Overall, though, it is the brands that are curating an experience that are resonating with HENRYs. Shinola is a great example. As an American owned and operated company, they appeal to HENRY’s interest in ethical, sustainable business practices and “hit all the right notes in quality, style, workmanship and value, plus membership in a cool tribe of people that share the same values”. Everything that has worked in retail before is up on the chopping block. HENRYs don’t want the products, services, or lives of their parents – they want their own… and they want it their way.